New at HCPL: wireless printing! We are excited to announce that Harrison County Public Library now offers wireless printing! Send prints from home or work to print at any HCPL branch AND print wirelessly at all branches! Please note the following altered hours for HCPL locations on Tuesday, April 2. Normal hours will resume on Wednesday. All branches of the Harrison County Public Library will be closed today due to snow. You may still check out e-materials on the Overdrive and Axis 360 apps. Stay safe! Photo and recipe from Sincerely Jean. Try this homemade Red Velvet Oreo recipe for Valentine's Day. You will need to bring your important documents to the site. Need Products to Complete Your 2017 Tax Return? Sign up for the Adult Reading Program! 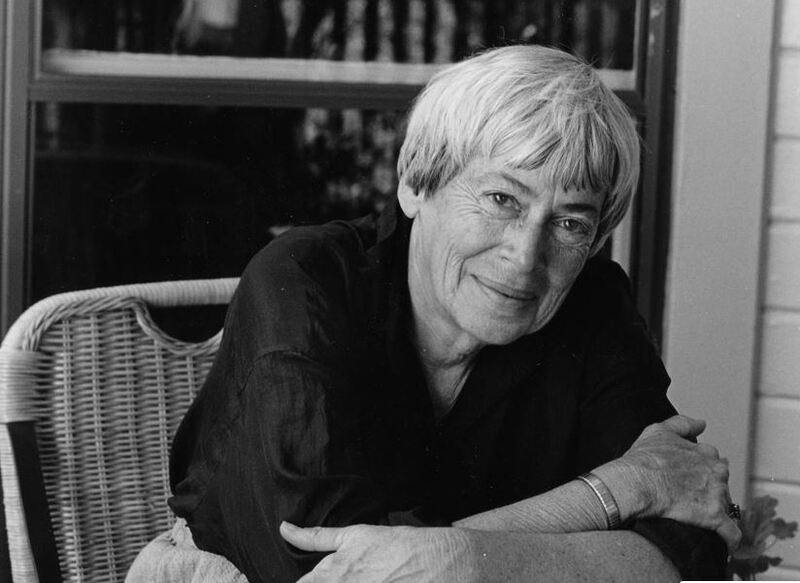 Farewell to beloved sci-fi/fantasy writer Ursula K. Le Guin, who passed away January 22, 2018 at the age of 88. The daughter of two anthropologists, her stories deal with society and gender and attempt to deconstruct the culture we take for granted. Next time you're outside on a clear night, stand a moment and look up. That's a lot of stars, right? As long as you have good vision, anyone can learn astronomy, telescope or no. Read on for a beginner's primer to one of the most rewarding science hobbies! Check out the mini Thanksgiving dinner cupcakes that our Afterschool Crafts group decorated! Can't find a specific title to download from OverDrive? Send us your request! Find it in a snap! Congratulations to our Halloween contest winners!